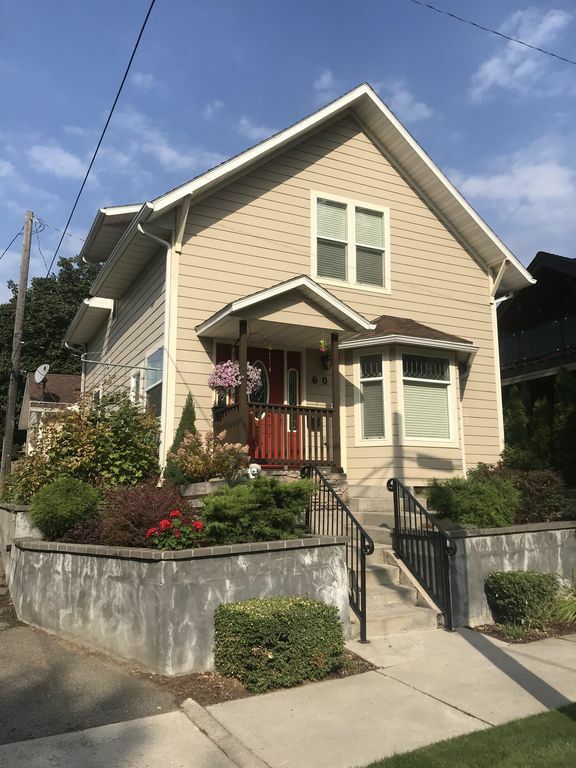 This 1910's house (Full Remodel 2009) is full of charm and is situated in a perfect location with a short 5 block walk to the heart of downtown Coeur D’ Alene with it’s; beaches, restaurants, shopping, and entertainment! The three bedroom, two bath house is set up for family fun while offering modern amenities like central AC and heat, Wi-Fi, and more. The main floor has a master bedroom, full bath, open living and dining areas, fully equipped kitchen, and sliding doors out to a secluded patio area with barbecue and outside dining. The upstairs has two additional bedrooms and a full bath. Start a new family tradition today - let this Coeur d'Alene home give you the vacation you've been waiting for! Whether submerged in the local downtown culture or exploring all that North Idaho has to offer, adventure can happen in any direction!!! We have lived and loved being in CDA since 2005. Fun seeking and explorers our kids are born and raised growing up to love all CDA, North Idaho, and the Pacific Northwest has to offer. Outdoor enthusiasts year round we enjoy skiing, biking, hiking, swimming, boating, and much more. This house has 1910s charm but fully updated for a new age family that loves todays technology, being right in the heart of the action, open common areas that lend to socializing and cozy nooks for much needed alone time. View more about Amy M.
Netflix and Amazon video available, digital antenna broadcasts: PBS, FOX, ABC. Blue ray/DVD/CD player. Side yard is not fully fenced, but separated from the street by a retaining wall and mature shrubs. Enjoy fresh raspberries from the vine and any other fruits and vegetables from the garden. In the heart of downtown CDA action or a short hike, bike, or drive to Idaho outdoor adventures. Local maps and attraction guides provided to some of our families favorite hidden gems of the Pacific Northwest!!! 5 miles from Triple Play amusement and indoor waterpark. 16 miles from Silverwood Theme Park. Less than an hours drive to four ski resorts: Mt. Spokane, Silver Mountain, Lookout , and Schweitizer Mountain.